Orlando Espinosa | StarMedia Productions Inc.
Orlando has worked in the television, theatre and production business for over 30 years! A native of New York City and graduate of the city’s School of TV Arts, he started his career in The Big Apple working with a BBDO NY /Omnicom Company as a producer on national accounts such as GE and Philip Morris. He quickly endeared clients and his peers with his creativity, professionalism and outgoing “let’s get it done” personality. He was soon recruited by KBD Los Angeles/New York and relocated to L.A. where he landed the largest production/theatrical show of the year, Toyota’s National Reveal Event, a multi-million dollar, three day, star studded production and staging extravaganza produced in Maui. After several years in California, Mr. Espinosa relocated to South Florida to be closer to family. 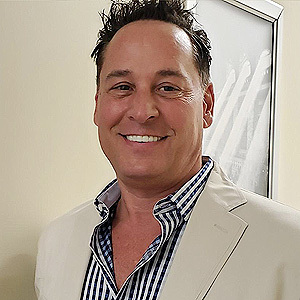 Throughout his years in Florida, he has been Senior Producer for IPG’s Alton Entertainment on South Beach and EVP of Programming for various other South Florida production companies where he helped create and produce “Modern Cuisine” with Loni Anderson on Food Network and “InMotion” with Dan Marino on ESPN. In this capacity, he was responsible for all aspects of the business. Everything from the creative concepts for the national television shows, selecting and securing celebrity hosts and global business leaders for interviews to overseeing all aspects of production (in studio and on location worldwide) as well as creating and maintaining the budgets for each show. Most importantly, he was responsible for leading and supervising the creative staff of producers, writers and administrative personal. In 2008, Orlando decided to form his own production company. He gained national recognition for creating ‘Here’s to Your Health’, hosted by Surgeon General Richard Carmona and actress and bestselling author, Marilu Henner. The show was taped at NBC Studios Palm Beach and aired for two seasons on LifeTime and TLC. “Here’s to Your Health” focused on the baby boomer market and featured CEO’s of Fortune 100 companies and global leaders discussing various topics on each episode with their solutions. Mr. Espinosa also created and produced the incredibly successful National Television Series, ‘The Green Room’ hosted by former NBC News correspondent and six time Emmy Award winner, John Holden. ‘The Green Room’ won the National People’s Telly Award for Best Environmental Programming in 2010! “The Green Room” has interviewed most of the Fortune 50, in most cases CEO’s, throughout its four year run on The Discovery Channel, History Channel and Fox Business Network! Mr. Espinosa is more excited than ever about what the future holds! His groundbreaking new creations, the national television shows, “Earth” and “Young Americans” are already creating a buzz within the industry and are destined to “Reach for the Stars” in 2019!